The dreams we have in us brings purpose to our life! Today’s story is about Li Ti, as known as Zhu Xiao Ti (Xiao Ti). 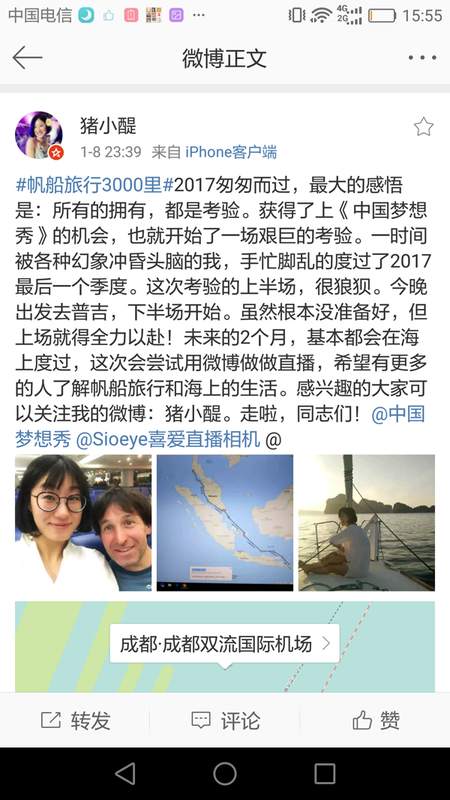 In 2017, Xiao Ti participated in the reality show “China Dream Show”, a ZheJiang Satellite TV program, to pursue her dream that she held close to her heart for 3 years, her dream of going on a 180-day sailing trip around the world. 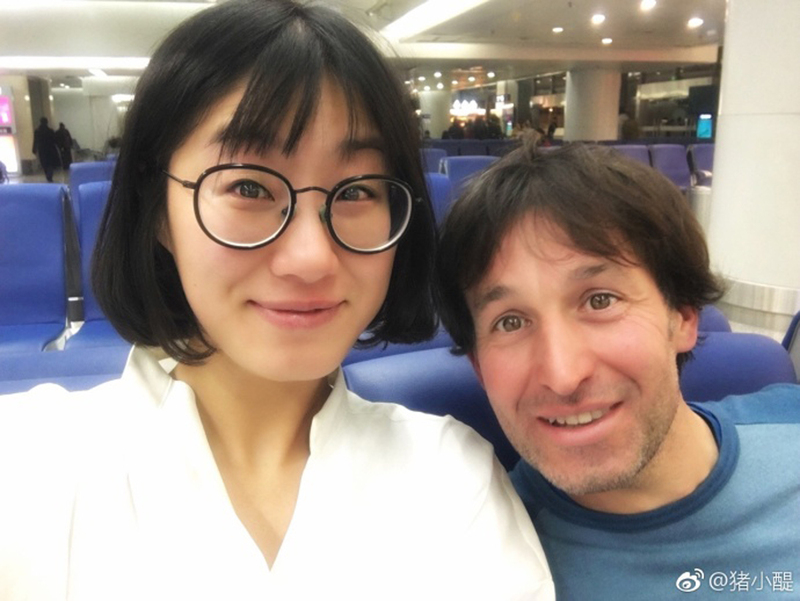 In preparation for her trip, fate has brought Ximula and Xiao Ti together, giving us an opportunity to participate in fulfilling her dream! 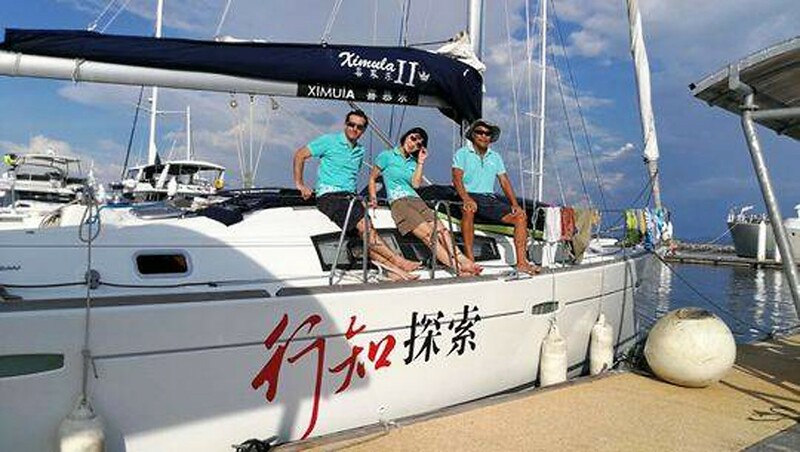 Xiao Ti will be travelling on Ximula II and embark on a 1,500 nautical mile journey from Phuket, Thailand to Bali, Indonesia. 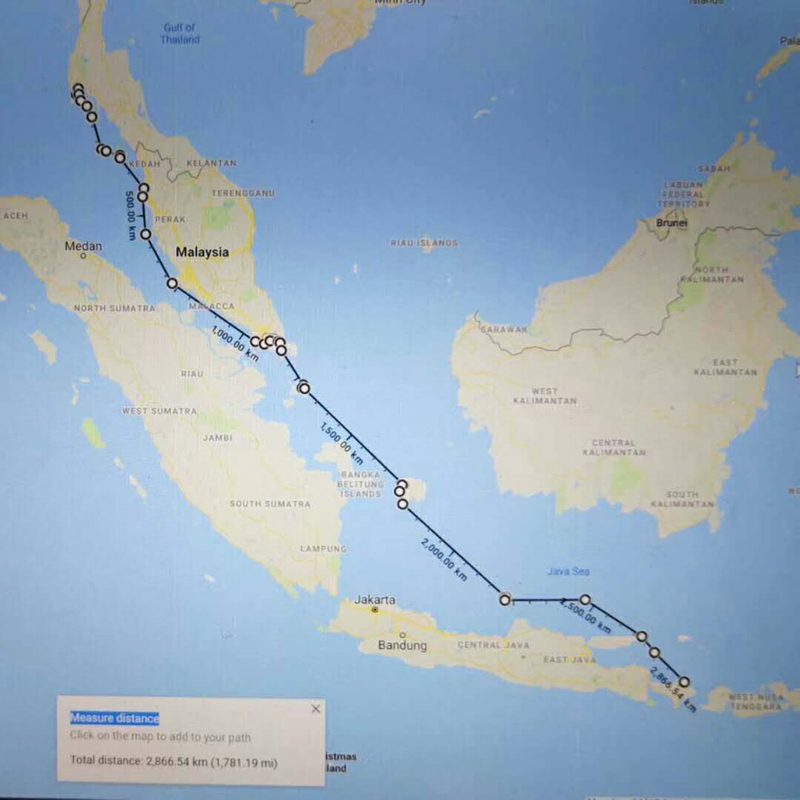 We will be travelling on the Strait of Malacca, passing by Malaysia and Singapore, before arriving in Bali, Indonesia and exploring Komodo Island, and finally ending the journey at Singapore. I met Xiao Ti under my block and she told me that she has taken part in Zhejiang Satellite TV’s “China Dream Show”. 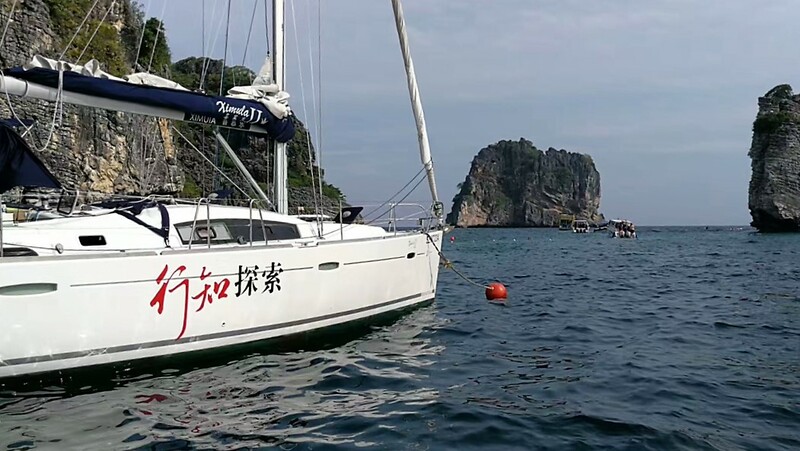 Working towards her dream of embarking on a 180-day sailing trip around the world that she held close to her heart for 3 years, she will be taking a step towards fulfilling it by beginning her physical training tomorrow. She said that everyone should have a dream and work towards it, for it brings purpose to our lives. 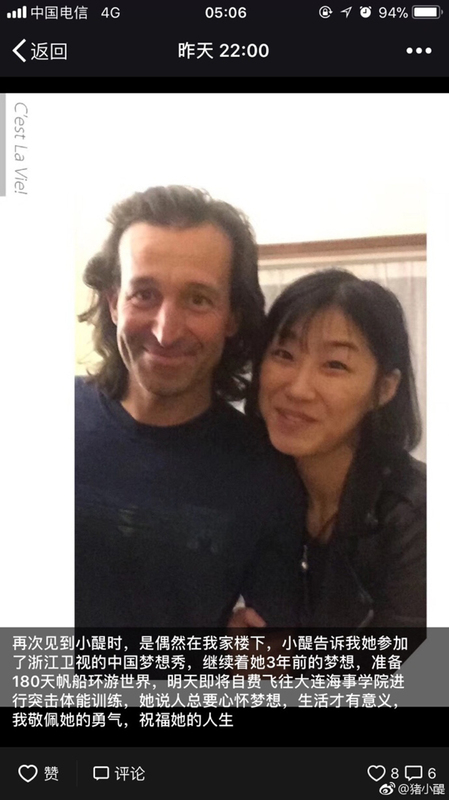 I admire her courage and wish her all the best! On 8th January, Xiao Ti departed from Chengdu, China for Phuket, Thailand and met up with Ximula II’s captain. 2017 has just passed and my biggest sentiment is: Everything we achieved started as an ordeal. I was given the opportunity by “China Dream Show” to fulfil my dream, and this dream begins my biggest challenge yet. I spend the last season of 2017 occupied with the many wild imaginations in my head. The first half of the challenge has been extremely tough. Tomorrow, I will be starting on the second half by flying to Phuket. Although I feel unprepared, I will still face the challenges with all my best effort! 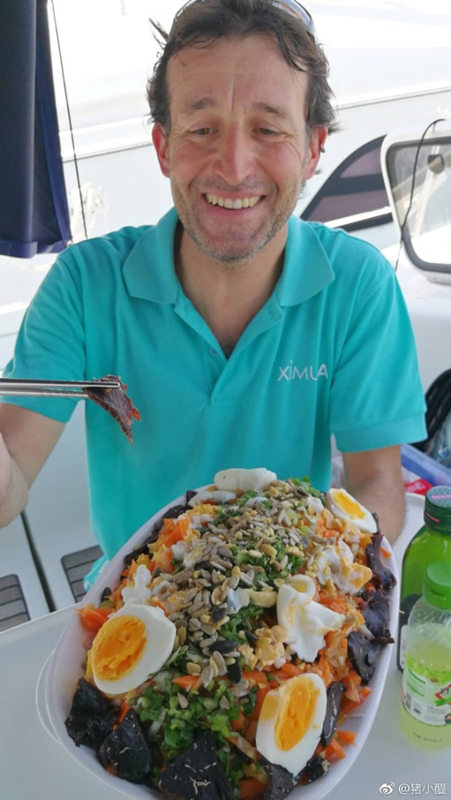 For the next two months, I will be spending it all out on sea, and will try to provide live updates on my WeChat and hope more people can learn about sailing and living out on sea. Interested parties can follow my WeChat: Zhu Xiao Ti. Off I go! 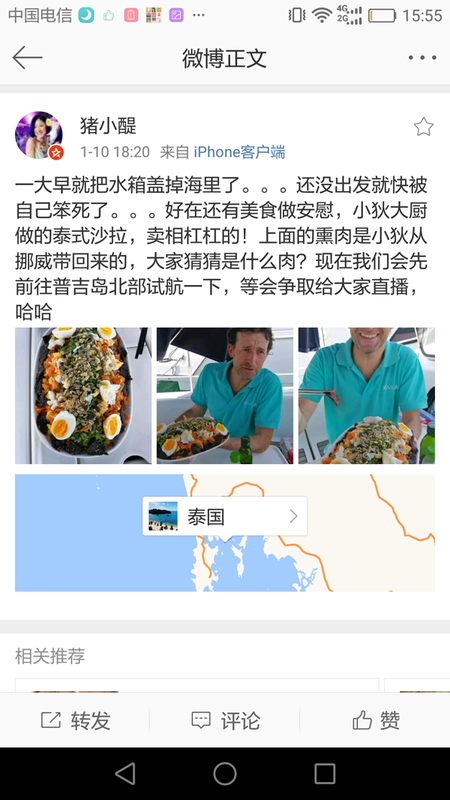 When out on the sea, food and clothing is important, hence I have brought a famous chef with me, haha! 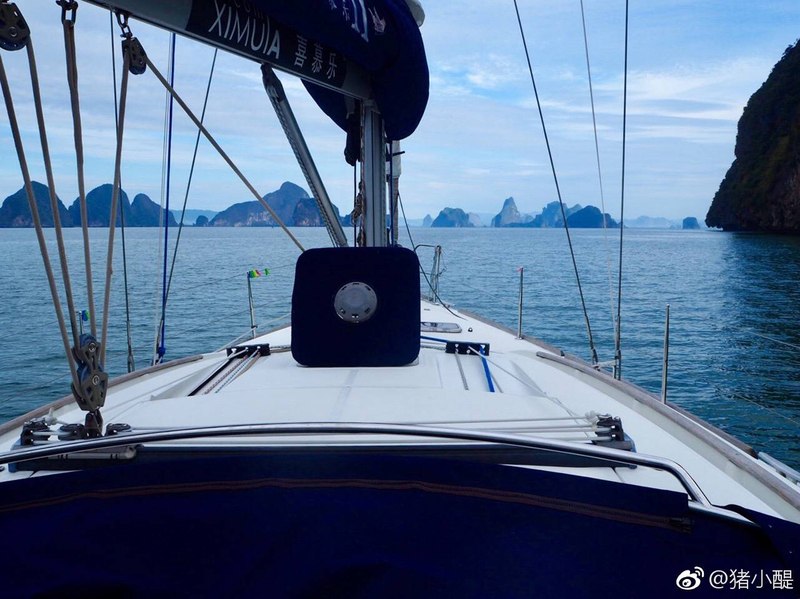 10th January, we had a taste of adventure at Phang Nga Bay. Took a kayak through a pitch black bat filled tunnel and reach the middle of the island, where the sky shines down through the opening on the hidden bay, made jokes about bats and pigs looking alike, had silent staring contests with the fishes. 12th January, we set sail for Bali officially. 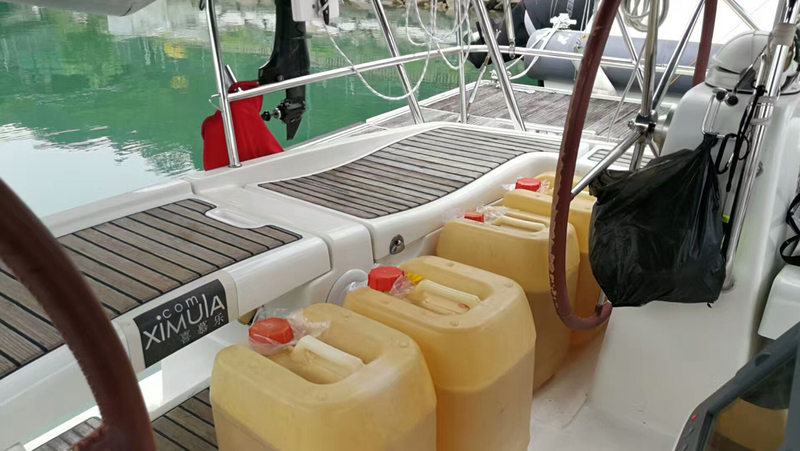 14th January, we reached Langkawi, Malaysia to restock our resources and continued our journey.